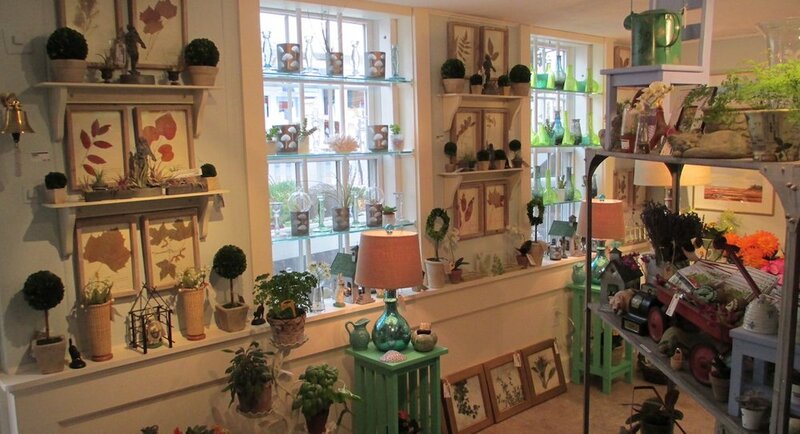 Botanica is Provincetown’s unique gift shoppe and art gallery with goods for the home and garden. We are located in Provincetown’s historic East End on Commercial Street among the town’s most exciting shops and galleries. We are convenient to MacMillan Wharf and off-street parking. Botanica has a wide selection of gifts for the home, including vintage items, cards, coasters, napkins, indoor and outdoor containers for plants, vases, tea light holders, hand blown glass candlesticks, antique bottles, garden accessories and ornaments, indoor furnishings, original art, including oil paintings, watercolors, white line prints and acrylics, reproduction art, silk plants and flowers, a large selection of air plants (tillandsias), aeriums, globes and terrariums, soaps, sprays, fragrances, and gift food items. Botanica has the largest selection of Motawi Tiles on Cape Cod. See them in the Arts and Crafts section of the website. We are presently featuring the original art of Derek Macara and Madaline Anderson. We feature the apple and cocktail giclees of Michael Lyons and the photography of Jeff Hitchcock. We have hand-crafted stained glass by Lynn Bikofsky. And we have original architect-designed lamps by Christopher Ross.